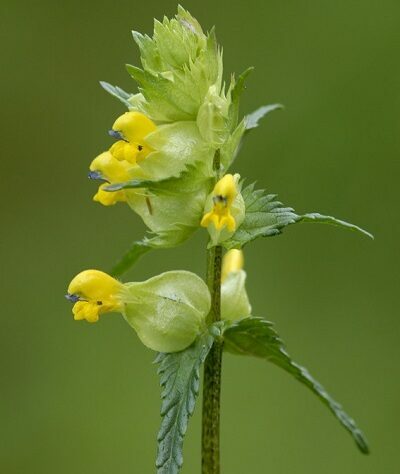 World Land Trust (WLT) has been working in collaboration with the Cotswold Conservation Advisory Board (CCAB) on meadow management at Kites Hill, WLT’s only UK reserve, as part of the Save our Magnificent Meadows project. This UK-wide project involves multiple conservation organisations to help save wildflower meadow habitats across the country. 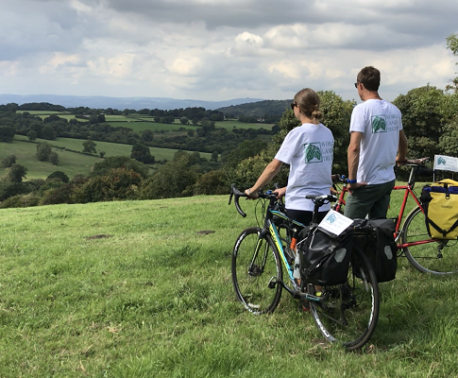 By working with the CCAB, WLT hopes to increase the biodiversity of the reserve, currently managed in partnership with The Conservation Volunteers (TCV) in Gloucestershire. Wildflower meadows are not just important for plant biodiversity; they are vital for the survival of the UK’s invertebrates: bees, flies, beetles, spiders, moths and butterflies. Today only two per cent of the meadow habitat that covered the UK in the 1930’s still exists, and 75 per cent of these are isolated fragments of habitat threatened by development. Kites Hill Reserve is located in Gloucestershire, within the Cotswolds Area of Outstanding Natural Beauty, with a magnificent view of the Cotswolds landscape from the meadows. During spring, the nodding heads of bright yellow cowslips can be spotted in the meadows, and in July the bright pink clusters of Pyramidal Orchids can be seen. The Pyramidal Orchids favour the limestone soils characteristic of the Cotswolds, and this soil defines the meadow wildlife found there, such as the Marbled White butterfly. Other butterflies that can be spotted in Kites Hill are the Meadow Brown, Common Blue and Ringlet species. 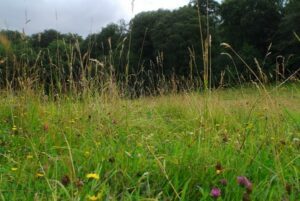 The Save our Magnificent Meadows project was launched in 2014 by Plantlife in partnership with eleven organisations, with the aim to protect, conserve and restore just under 15,000 acres (6,000 hectares) of wildflower meadows and grasslands across the UK. CCAB are the partner responsible for the project in Gloucestershire, including Kites Hill. Kites Hill was donated to WLT by its owner Jane Pointer as a living legacy in order to ensure its protection forever for the benefit of wildlife. 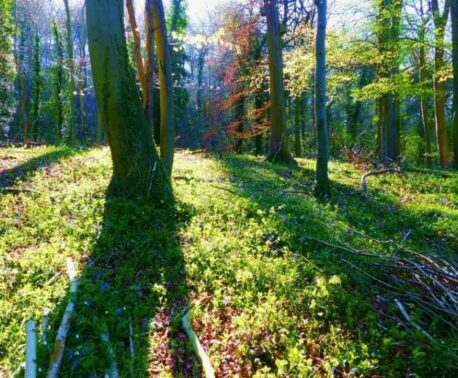 It is managed by The Conservation Volunteers in Gloucestershire and has a nature trail walk taking in some of the key parts of the reserve – click here for a map and directions on how to get there.